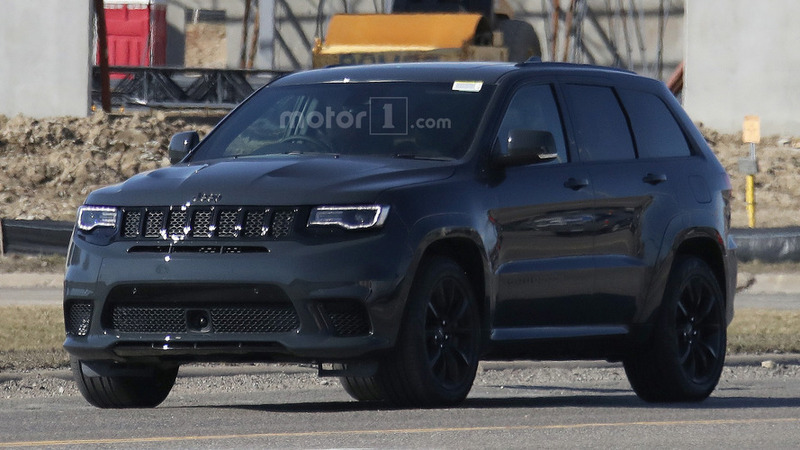 Last year, Jeep boss Mike Manley confirmed development of the long-rumored Jeep Grand Cherokee SRT Trackhawk with the Hellcat 6.2-liter supercharged V8, and a new spy shot has given us the first look at the muscle-bound engine under the SUV’s hood. Motor1’s readership in the United Kingdom and Australia should be excited to notice that FCA is testing the Trackhawk in both left- and right-hand drive varieties, which indicates this isn’t a North-America-only product. The sole under-hood photograph is a little grainy but there’s no mistaking the supercharger sitting on top of the engine. The layout in there looks quite similar to other applications of the Hellcat. 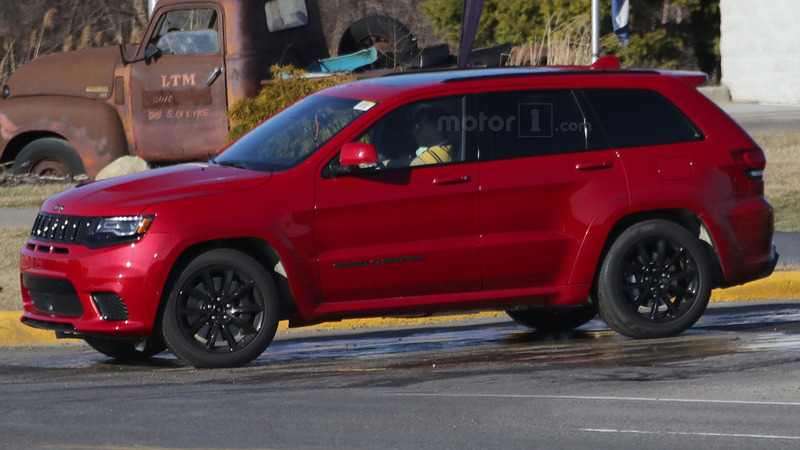 Rumors suggest the Grand Cherokee Trackhawk could debut as soon as 2017 New York Auto Show in April, and the imminent premiere might explain the apparent lack of camouflage on these examples. Other than lacking Trackhawk badges, the engineers don’t appear to disguise this pair in any way. 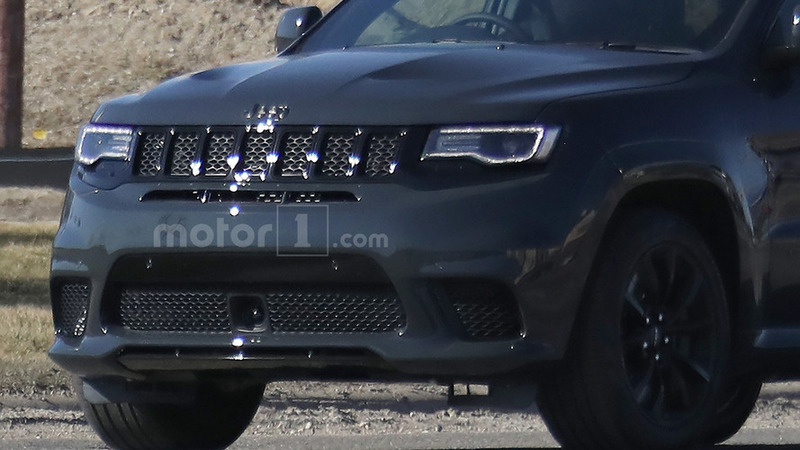 Compared to the existing Grand Cherokee SRT, the Trackhawk features a new front bumper with three larger intakes in the fascia, and the LEDs at the corners are gone. There’s also a small slit just below the grille. 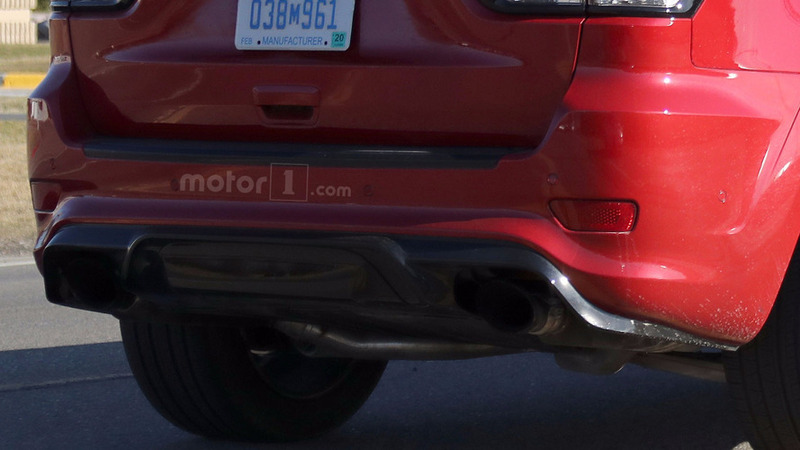 The SUV keeps basically the same look in profile, but the new model’s brakes appear a little larger. The exhaust is the only part on these trucks that don’t look production ready because they appear to lack the final finishers. 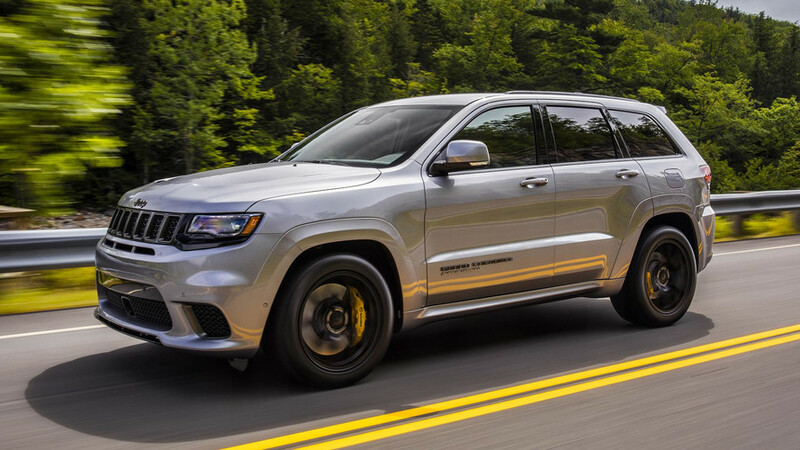 We doubt Jeep would develop a more powerful Grand Cherokee and fit it with tailpipes that seem smaller than the components on the existing SRT. The Hellcat’s power output in the Trackhawk is still uncertain. The engine produces 707 horsepower (527 kilowatts) in the Dodge Challenger and Charger models, but the Jeep might have all-wheel drive, which could force the engineers into dialing back the power for the drivetrain components’ reliability. 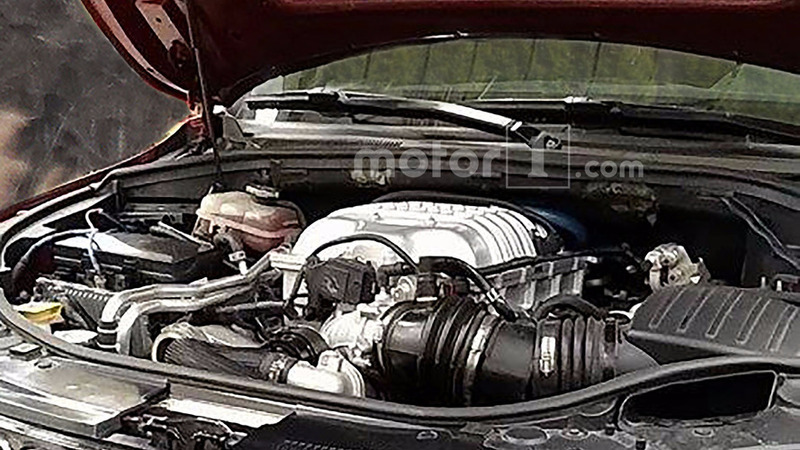 An earlier video indicates the supercharged V8 sounds powerful in the SUV, though. If Jeep brings the Trackhawk to New York, then the wait to figure out the answers to these questions would be just a matter of weeks. Manley indicated last year that the launch would happen in July, so a public premiere in April would offer the automaker plenty of time to build hype for its new range-topping product.